Creative landscape design and installation is what Properties by Pete stands for. We want to supply our customer with a positive and comfortable feel for there property. Whether it's a business community or a backyard, Properties By Pete has the landscape talent to make your wishes comes true. That's because we take pride in the curb appeal and all terrains can look like a luch oasis. 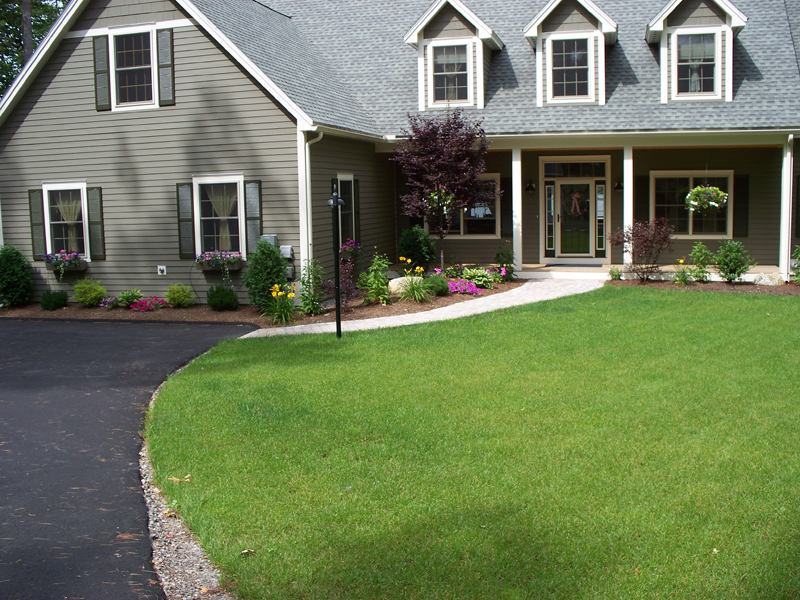 Our selection of versatile plantings works in the New England climate, surface traffic, slopes and contours.Think of Properties By Pete for commercial and residential landscaping where design, installation or maintenace. 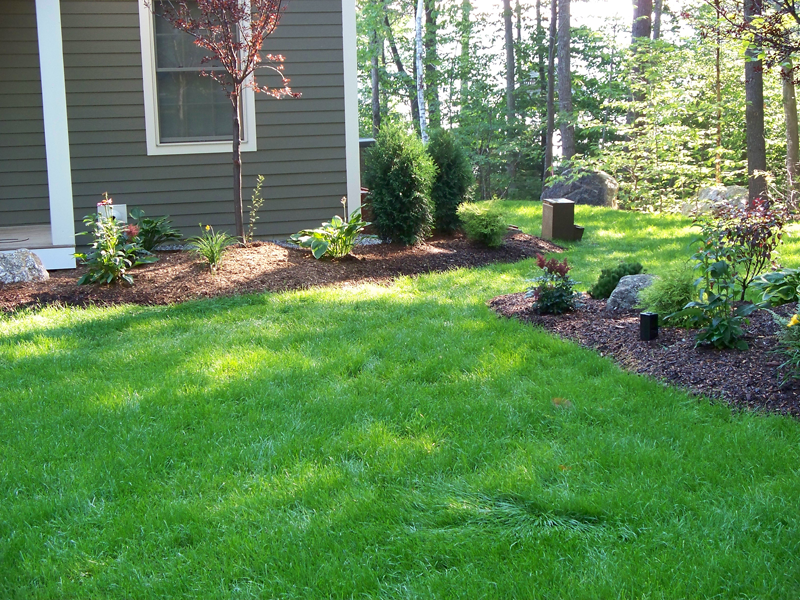 Let Pete and his staff design and transform your yard into an oasis of seasonal change through out the year. Our designs and installations are created to supply comfortable and attractive additions to your property. Take a look in our picture gallery to see the many mediums we offer,such as timber walls, allan block, and stone walls. 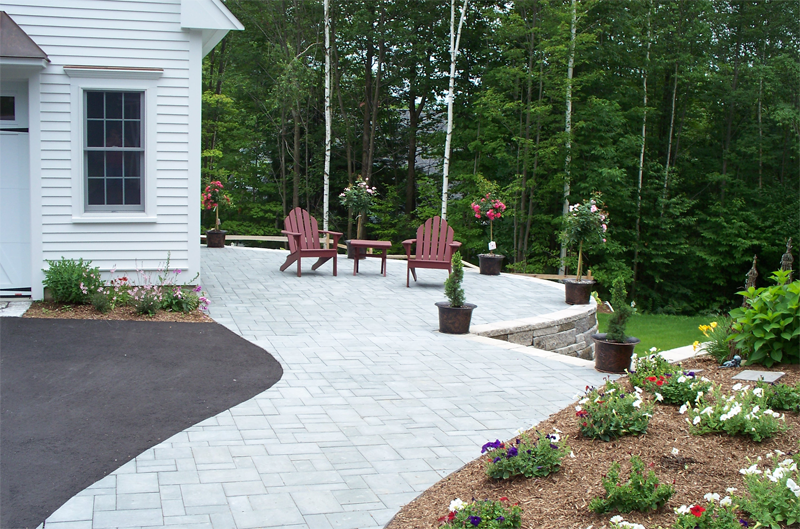 Don't forget the walkway/patio section which includes, concrete pavers, field and flag stone walkways or a simple stepping stone entry. Properties by Pete has been designing and installing colorful flower arrangements foryears. Many of the colorful arrangements whether residential or commercial in your neighborhood may well have been done by us. Let us design a colorful season changing arrangement for you in a tub , bed or pot. Take a look at a few of our arrangements. Properties by Pete are confident that if you need snow service for the winter months that it will be addressed professionally as well. 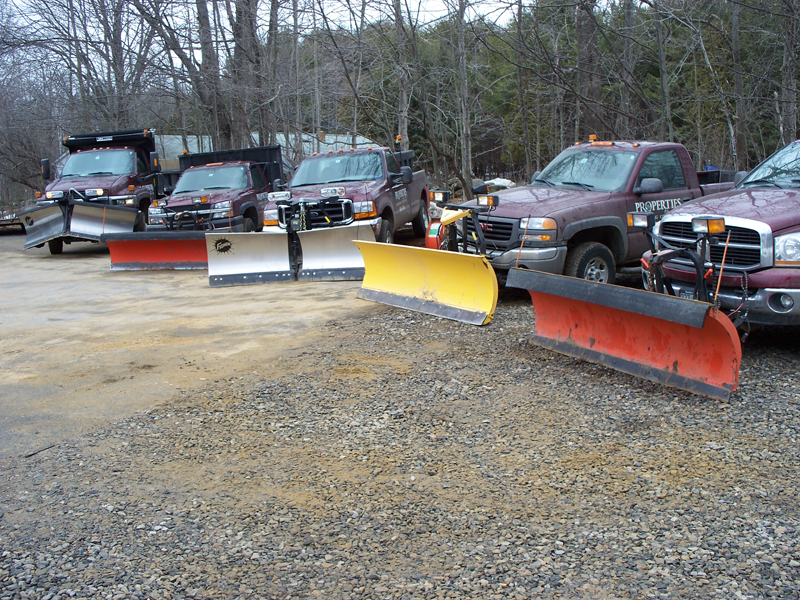 Our staff has a fleet of trucks ranging in sizes to remove all depths of snow. As well as plowing we offer sand/salt applications and snow shoveling for walks and entrances. In the event that we have a lot of snow we have front end loaders to move the snow as needed. View Our Gallery for more examples of the quality work that Properties by Pete have completed.